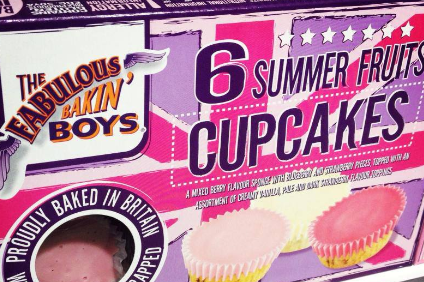 Dutch baking group Daelmans has closed a UK facility that produces its Fabulous Bakin' Boys' muffins and cakes with the loss of 31 jobs. A Daelmans spokesperson told just-food today (31 May) the "ultimate decision" to close the facility in Witney, Oxforshire, and consolidate production across three other UK sites, "was taken after extensive consultation and not without reviewing a number of alternative solutions". The closure comes three years after Daelmans, a fourth-generation Dutch bakery business that has traded in the UK for 25 years, acquired the Fabulous Bakin' Boys facility when the business went into receivership. The Daelmans spokesperson said: "During the past two years a number of economic factors has lead the group to strategically review both the manufacturing and trading agenda. The conclusion being that, commercially, Daelmans has and will continue to develop strong trading relationships with all of its UK customers and commercial partners. There will be no change to the UK-based sales and trading team. Daelmans wish to thank the loyal employees who have all supported them through the consultation period and ultimately the closure announcement."